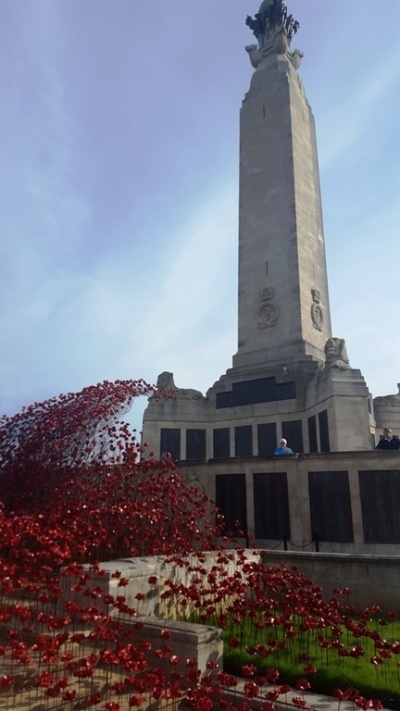 Have YOU seen the ‘Poppies Wave’ at the Plymouth Naval Memorial? 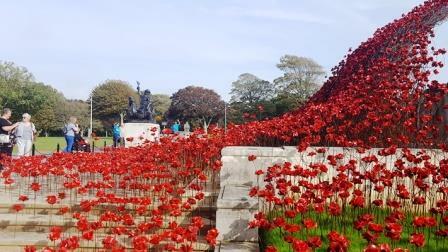 The CWGC Plymouth Naval Memorial commemorates more than 23,000 Royal Navy personnel, including members of the Royal Australian Navy, South African Naval Force and Royal Indian Navy Volunteers Reserve, as well as Royal Marines and British Army Personnel who served on board ships from the First and Second World War. 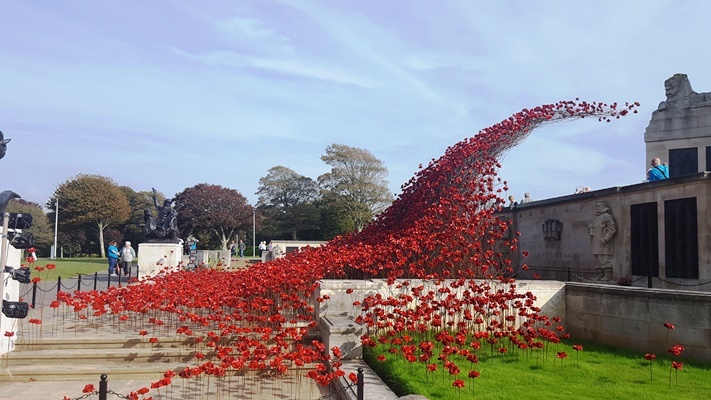 The Poppies Wave by Paul Cummins (Artist) & Tom Piper (designer) is a stunning cascade of several thousand bright red ceramic poppies which symbolises a lost life. 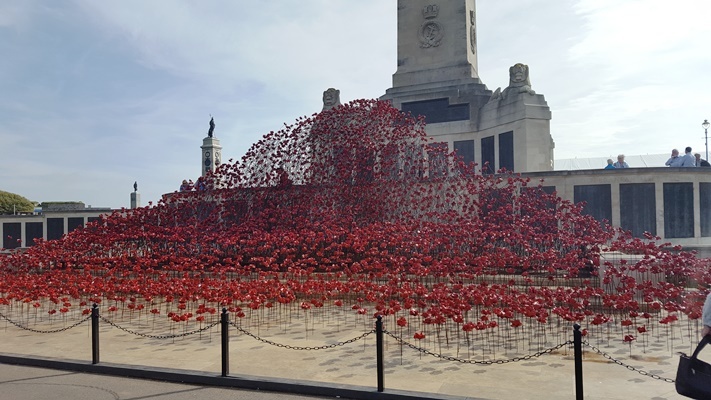 The striking poppy sculpture runs until Sunday, 19th November at the Commonwealth War Graves Commission’s (CWGC) memorial where volunteers will be on hand every day from 10am to 6pm to tell the story of the Wave, the CWGC and its memorial.